Aprilia Multimedia Platform (AMP) is the innovative app that completes the accessory installed on your Aprilia Caponord. The app establishes a wireless connection between your vehicle and your iPhone transforming it in a sophisticated multifunction on board computer, always on the Net. The smartphone touch screen panel allows you to choose four parameters among a big number. Speedometer, rpm indicator, engine power and torque, instant and average fuel consumption, suggested gear, longitudinal acceleration and extended trip computer: these are but a few of the functions available. Two different dashboard styles (analog and digital) are can be switched in every moment at your convenience. A blinking of AMP virtual dashboard indicates Aprilia Traction Control (ATC) intervention and you can set an useful shift light at your favorite RPM. The shift light may be deactivated or left in automatic mode: in this way the maximum suggested RPM is calculated based on coolant temperature. With AMP you can store all the journey data and review them later, on your computer. In the easiest way, your will be able to analyse your trip and riding style thanks to a host of parameters acquired by the app in real time. Piaggio AMP boasts a series of contents that are meant to enhance the riding safety. If fuel is low, the system automatically tells you which petrol stations are closest and guides you to the one you chose on the map*. AMP automatically stores the last position of the vehicle before the engine is switched off, and gives indications if you forget where you parked it. With the synergic use of gyroscopes and vehicle signals, your iPhone/iPod becomes an astonishing roll angle estimator in the bends thanks to a proprietary algorithms derived from Aprilia Racing SBK applications. (Available from iPhone 4 and iPod touch 4th generation). 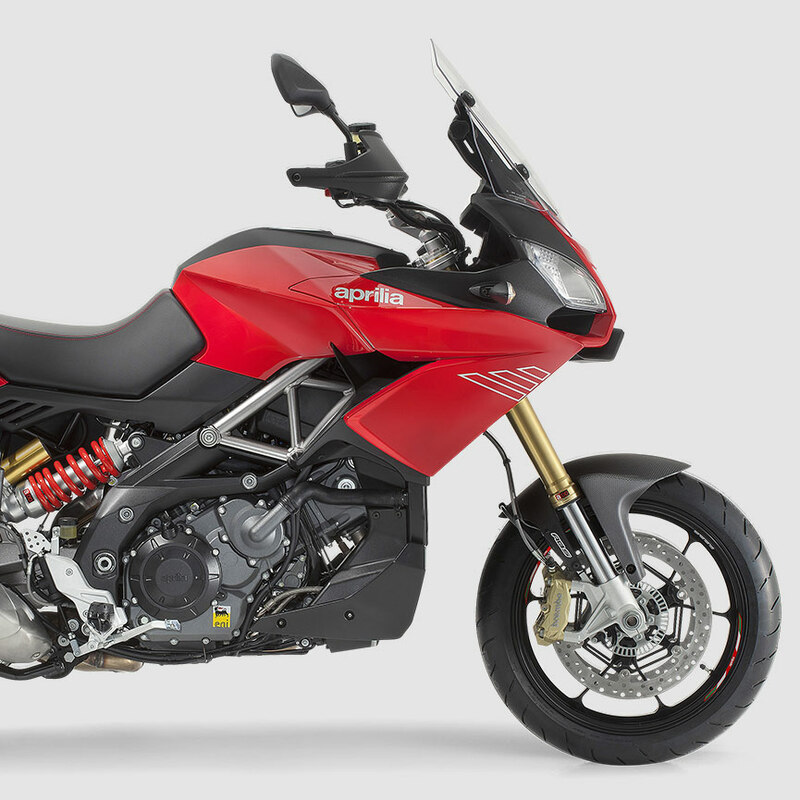 AMP will be available for several Aprilia models: keep in touch!